The British are coming! And they’re here for your children. Today there are tons of toddler apps that not only keep kids entertained, but also teach basic concepts like, colors, shapes and counting in ways that are a lot more engaging than my method of repeating over and over: Green ball. Three Cheerios. Hey, that’s how we rolled back in the dark ages. Take for instance the new Brit-developed Jellytoons app, which is so well designed I think it may become the gold standard for toddler apps to come. It has the look of a cool cartoon, with a classy British narrator whose voice makes everything seem instantly smarter. 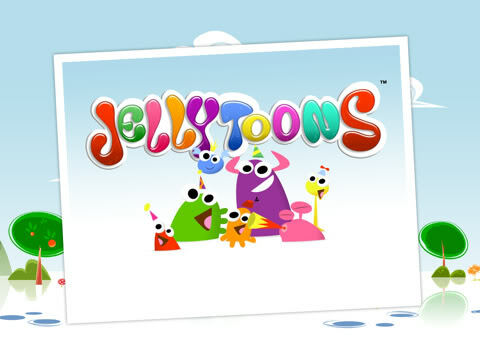 The Jellytoons app by Mindshapes is available for iPhones and iPads at the iTunes store and costs just $.99. Sorry, no Android yet. Wow. What an awesome app. I’ve already downloaded it and my kids love it.